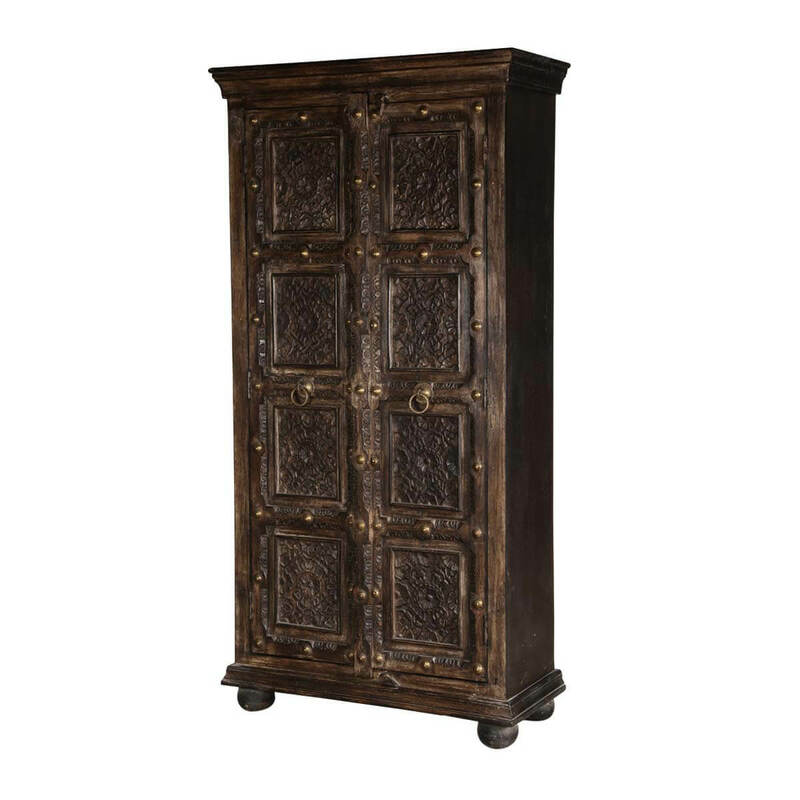 The great European cathedrals are full of centuries-old furniture that recalls an age of stately grandeur and sophisticated craftsmanship. 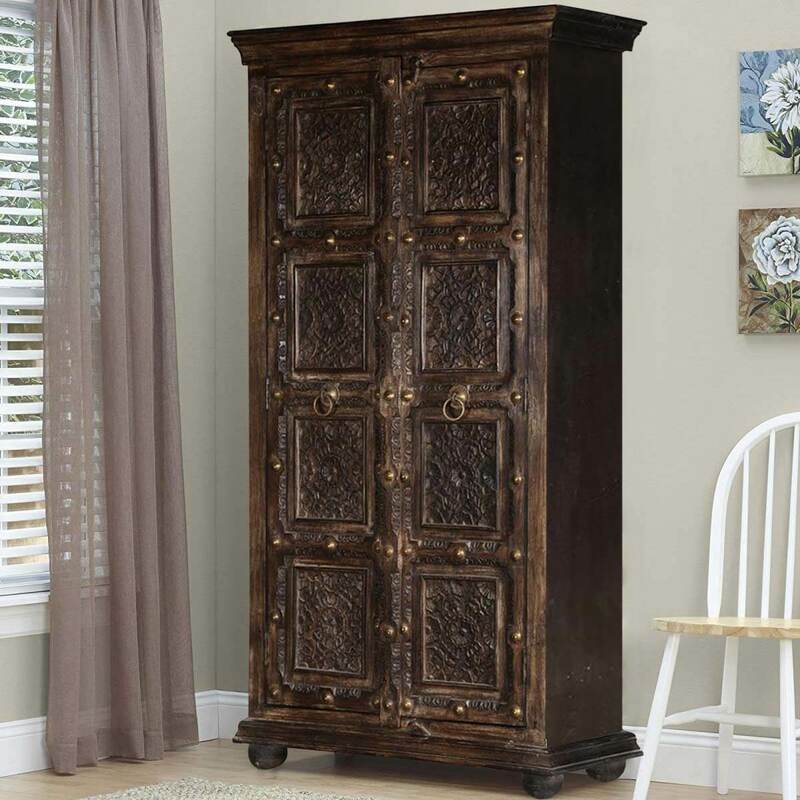 The Chartres Gothic Dark Brown Solid Hardwood Tall Storage Cabinet is an example of the remarkable combination of modern skill, reclaimed materials, and handcrafted design. 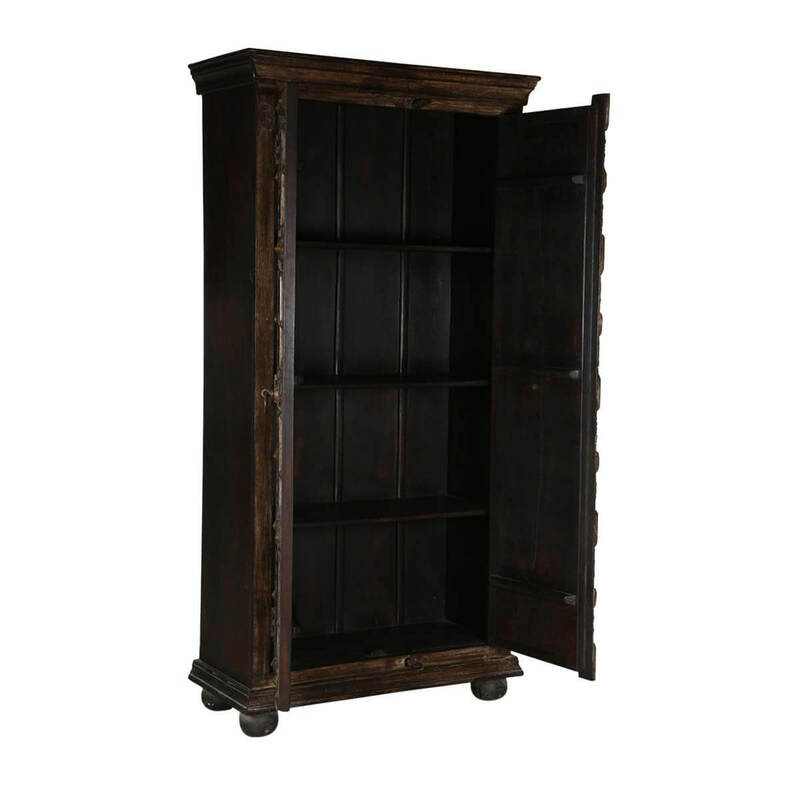 The most notable features of this solid hardwood tall storage cabinet are the two towering doors. 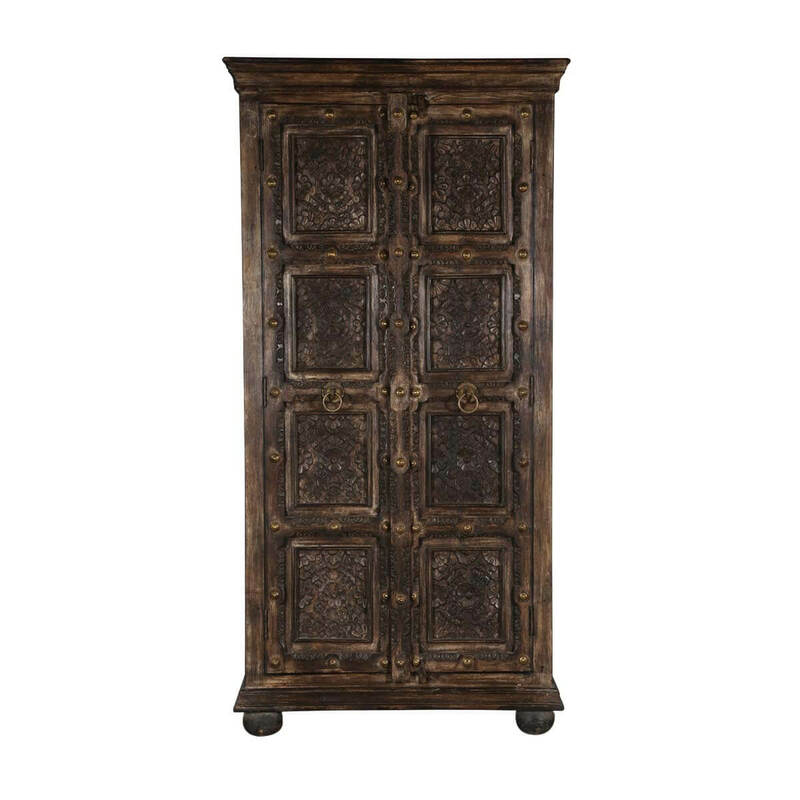 Each door features a four-panel design with intricately carved floral designs. 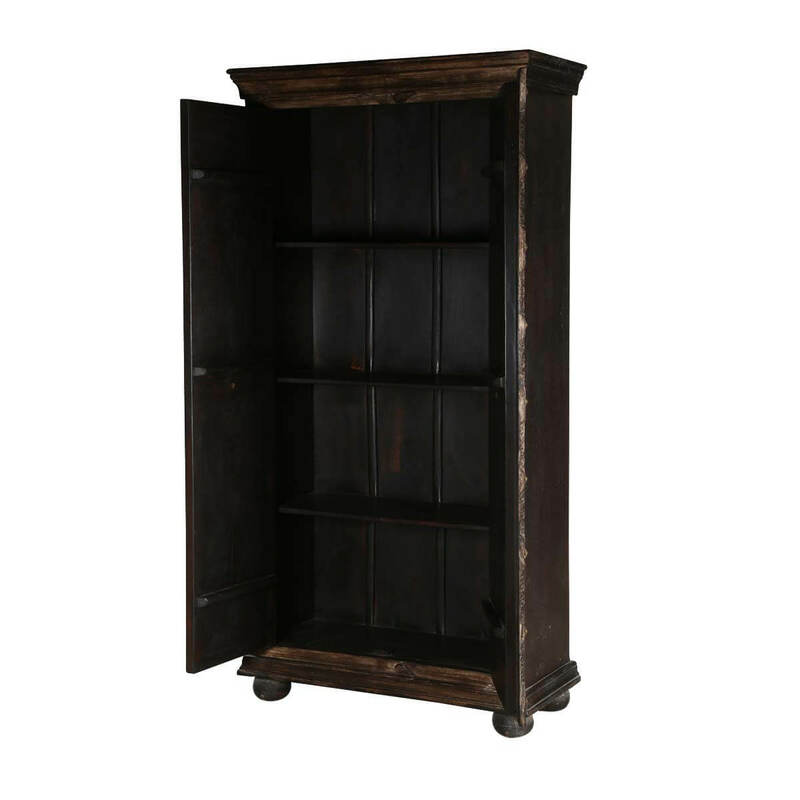 A rich dark wood tone is applied by hand and an aging process is added to create a time-tested look. The rich tones vary between a dark chocolate and roasted coffee to caramel and honey as the contours of the carvings move in and out of the light. 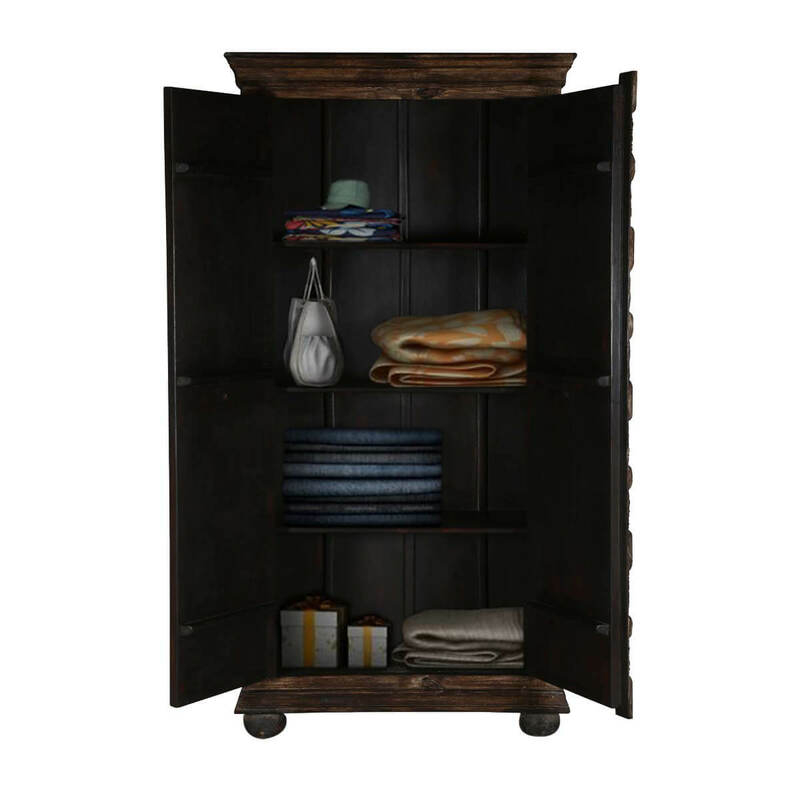 Inside the armoire cabinet, four shelves provide for the storage of your wardrobe ensemble, folded laundry, duvets or even books. 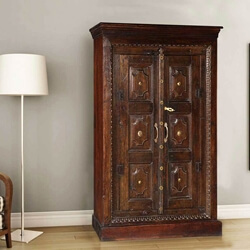 Classic dignity and warm rustic appeal combine beautifully in this wonderful example of 100% handcrafted work. 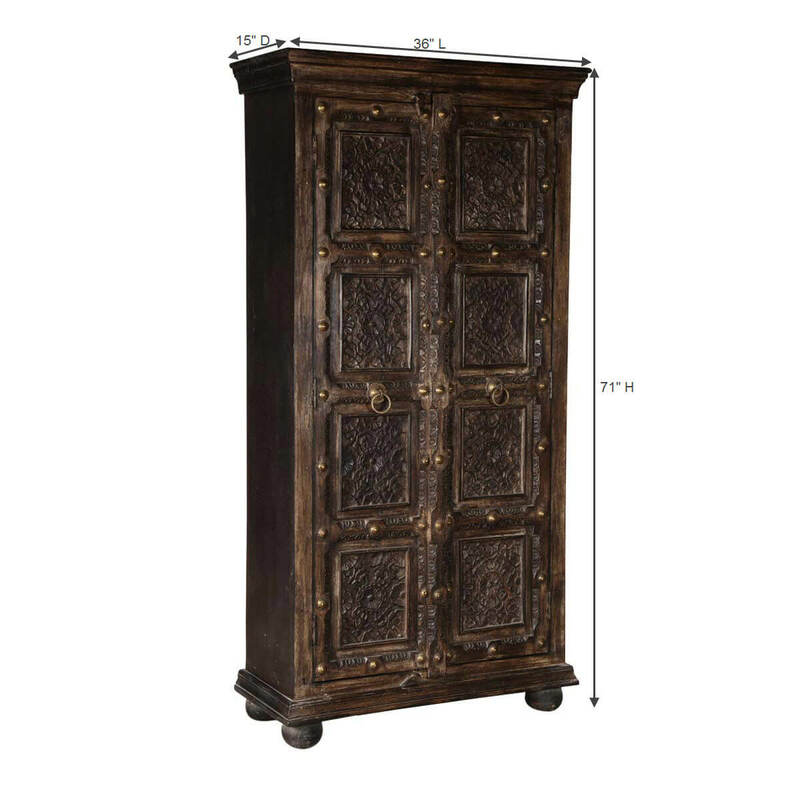 To add this piece to your bedroom or living room décor, you will be bringing grace, poise, and distinction to your room. 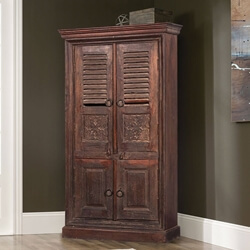 In addition, the warm rustic finish will bring just the right touch of liveliness and spirit. 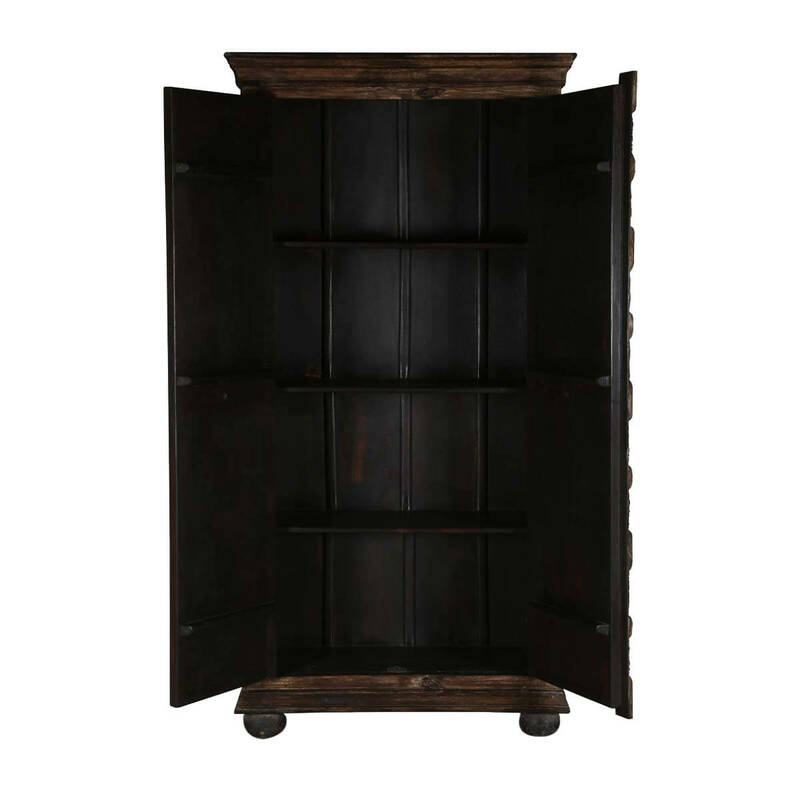 Four large shelves provide for the storage of all your stuff including clothes, bed linens, books etc. 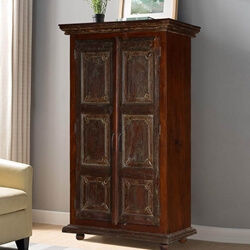 Made of sustainable reclaimed solid Mango wood, this tall armoire cabinet is strong enough to hold up to everyday use while still being light enough to move around. 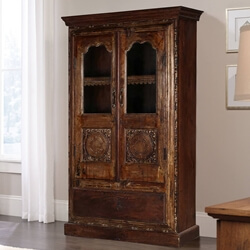 With durability and strength, this gorgeous furniture will hold its form and age gracefully.